We have two choices about growing older: Accept it, or resist. Either way, our bodies will eventually reflect the passing years. 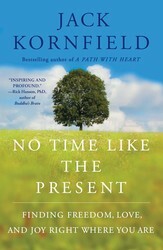 Jack Kornfield, author of NO TIME LIKE THE PRESENT, explains how aging with trust gives you the freedom to enjoy every day to the fullest. In every cycle and vocation of life, we have to relearn the art of trust. Every night we die, trusting in the oblivion of sleep, and we awaken the next morning reborn to fresh sunlight. Like the seasons, we are moved from one cycle to the next. Instead of struggling against change, we might as well make them a dance. Joan Baez and her ninety-two-year-old mom sang for my sixtieth Birthday Ball, which was also my daughter’s twenty-first birthday, her coming of age. I was dressed in a tux and feeling at the top of my game. Now, a decade later, when I look in the mirror I see a balding guy in pretty good shape for his seventy-first year. But I also feel the gradual waning of strength, memory, and capacity that is the natural process of the aging body. When I feel wise and gracious, I see that aging is just natural. It’s what bodies do in the last chapters of this incarnation. And then I go through periods of denial, ignoring, or struggling against the stream of life. I don’t mean to discount the value of healthy living to stay active and fit, but the decline is real and inevitable. You can choose to resist or be gracious. If you age without trust, you will contract and suffer, already turning toward death. Your heart will not be free to love and enjoy each day, to dance with life. 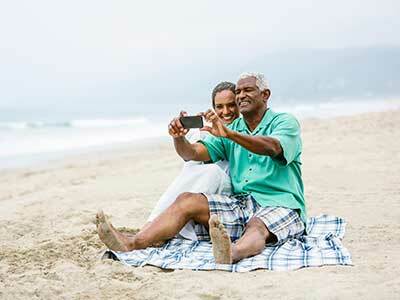 We all want a long and happy life. Here are 12 heart-healthy foods that help slow aging.